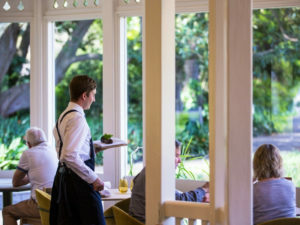 A South Australian favourite for destination dining, Botanic Gardens Restaurant (BGR) in Adelaide, is in the process of a new makeover, engaging local interior design company Williams, Burton, Leopardi (WBL) to help create a full sensory experience. 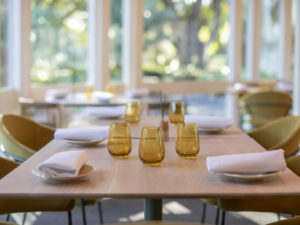 New furniture has been designed to incorporate products that bring diners closer to nature, so they can enjoy the full impact of dining within the Adelaide Botanic Gardens and its natural beauty. Along with a fresh new look, comes an updated menu format. An ever-changing menu that is updated daily gives the customer a different experience at every visit. 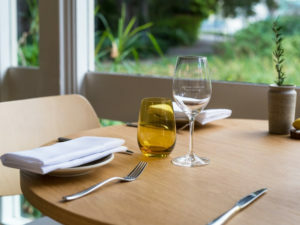 The beautiful full-length glass windows are a classic feature that has stayed to create the magical tranquil atmosphere that can only be achieved by dining within the Adelaide Botanic Gardens. 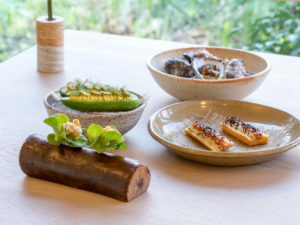 Book in and try their new menu now!